The seven last words of Christ reveal a soul who lived exactly what he taught through his final breath. He also taught us until his final breath. Let's discover the wisdom from his last moments. Please read John 19:16-37 before starting GraspingGod.com's free Bible study lessons, #3.13. Previous lesson: Crucifixion of Jesus Christ #3.12. 1) Are Christians allowed to hate their enemies? 2) What did Jesus lose for three hours so that we could be eternally forgiven? 3) What precisely was defeated through Jesus' sacrificial death on the cross? The seven last words of Christ were split between three sayings at the beginning of his hanging and four at the end. Ending the three hours that God forsook Jesus, he lamented the Father's absence. Of the seven last words of Christ this is the hardest lesson for our Christian lives. Jesus earlier taught, "But I say, love your enemies! Pray for those who persecute you." (Matthew 5:44). Jesus, on the cross, proved here that he lived true to his teaching. These barbaric soldiers, assigned to the gruesome task of murdering God's Son, were nailing Jesus to the cross, while listening to him pray, "Father, forgive them, for they don't know what they are doing." (Luke 23:34). How could they have comprehended such an anomaly?! This confounds the fallen human intellect. It butts heads with all conventional wisdom. Jesus had been granted authority to forgive people on earth, doing so many times (Matthew 9:6). Momentarily, though, while he was being lifted off the earth and condemned this wasn't possible. Jesus had to ask his Father to forgive them. The Father always heard his Son pray (John 11:42), this being no exception. Soon, a thief, centurion, and many other guilty individuals (Acts 2:41; 6:7) would have the life and death of Jesus Christ applied to their accounts (Colossians 2:13-14). Could there be a greater altruistic deed than asking for the most wonderful blessing imaginable for the responsible parties of his death? What would a normal man ask for at such a time as this? Would the thought of eternal forgiveness for those killing us even cross our minds? We would probably be lashing out at the evil deed. We would be pleading for our rights. We would beg for pain medications while squirming and screaming in uncontrolled anguish. Not Jesus. Jesus came to the earth to forgive sinners (John 3:17) and that compassion and mission never left his pure soul. Isaiah 53:12 predicted that Jesus would pray for his persecutors. We can learn much from Jesus here. Upon facing death we can trust in God's sovereign plan by maintaining our self-control. Keeping our Kingdom mission in sight, at all times, is a great act of Christian maturity. Our eyes should be looking to help someone in need, or looking to pray to God for their forgiveness. Jesus did this, and Stephen did this weeks after hearing about his Master (Acts 7:59-60). Let's follow these two wonderful examples of selflessness to our own deaths. Of the seven last words of Christ this gives sinners the most confidence. A thief hung on each side of Jesus on the cross. The two thieves joined the guards, religious leaders, and the public in mocking Christ's self-proclaimed Kingship (Matthew 27:44). Sometime after hearing Jesus' prayer for his persecutors, one thief turned on the other, telling him, "'Don't you fear God even when you have been sentenced to die? We deserve to die for our crimes, but this man hasn't done anything wrong.' Then he said, 'Jesus, remember me when you come into your Kingdom.'" (Luke 23:40-42). Jesus, even though his attention was fixed on saving the world's sins, told the thief, "I assure you, today you will be with me in paradise." (Luke 23:43). The thief had learned helplessness upon the cross - his plight was dire. His life was almost over, he left no good legacy and had nothing for which to look forward. Notice the elements of his prayer to Jesus: First, he feared God, which is the beginning of wisdom (Psalm 111:10); next, he admitted his sin and condemnation (Psalm 32:5); next, he acknowledged Christ's sinlessness (John 14:1); and finally, he believed in Jesus' Kingship (Luke 23:3). Something mysterious quickly happened to this thief to change his mind about Jesus Christ. The thief became born again (John 3:5), finally acquiring the ability to understand who Jesus is (Luke 24:31; 24:45; Acts 16:14; 2 Timothy 2:25). The thief witnessed so much in so little time, but it all made perfect sense! God had granted him repentance (Romans 2:4) and faith (Romans 10:17) in Jesus Christ. A miracle of salvation happened to this man in a moment of time. We can't pretend to know how much he knew of God and the Scriptures before meeting Jesus, but, we do know he was rightly condemned for some terrible act. Regardless, God saved this man and was soon swinging wide the gates of paradise to welcome him home to his Father. This thief, in a few short moments, stopped mocking Jesus and become God's own saint. God reached down and changed him and the thief turned in repentance and faith to the Lamb. The thief didn't receive baptism, nor any other rite, and he didn't attempt to earn God's blessings. Repentance and faith found him, and he verbally expressed it back towards God through his Son (Romans 10:9-11). The same happens to people on their deathbeds, or when they're young as a child. God is always waiting to hear a repentant sinner hand over his or her life to him. Could the next one be you? Of the seven last words of Christ this is the most heartwarming and personal. At Christ's birth, Mary heard the following prediction from Simeon, "Then Simeon blessed them, and he said to Mary, mother of Jesus, 'This child is destined to cause many in Israel to fall, but he will be a joy to many others. He has been sent as a sign from God, but many will oppose him. As a result, the deepest thoughts of many hearts will be revealed. And a sword will pierce your very soul."' (Luke 2:34-35). Mary knew this day at the cross would be painful, but knowing hardly made it easier for her. She loved God prior to the birth of Jesus, and she loved God now. She perfectly understood her role as the earthly mother of Jesus Christ. She stoically handled this situation with great dignity and poise. Jesus said to Mary and John, "'Dear woman, here is your son.' And he said to this disciple, 'Here is your mother.' And from then on this disciple took her into his home." (John 19:25-27). Jesus never shirked his duties as a man. Here, Jesus honors God's fifth commandment by taking care of his mother. Jesus' siblings weren't yet believers, therefore he placed his mother in the care of a believing friend. Tradition says that John took care of Mary for 12 years after this event. Of the seven last words of Christ this is by far the most mysterious and important. It is also the saddest, because this time of God's departure is what Jesus dreaded with his entire being. This is why Jesus experienced his deepest sorrow while praying in the garden. Concluding three hours of ominous darkness across the land, Jesus pleaded, "My God, My God, why have you forsaken me?" (Matthew 27:45-46 NIV). God had forsaken Jesus on the cross. God removed Jesus from his presence, leaving him in outer darkness (aka hell). Jesus entered the ultimate depths of wrath that God would inflict upon him. His body still alive, he communicated the anguish that inflicts a soul who enters hell. God abandoned Jesus, leaving him alone to battle the dark forces of evil. How could God do such a thing to his pleasing Son?! Why?! Take heart knowing that this extreme punishment was planned from before the world was created (Isaiah 53:4-5). Jesus knew his earthly destiny ended on this hill (Isaiah 53:9-10). The reason is clearly stated in this beautiful passage, "For God made Christ, who never sinned, to be the offering for our sin, so that we could be made right with God through Christ." (2 Corinthians 5:21). God punished Jesus for every sin of every believer of all time. Jesus was shunned by God, being thrust into hell on our behalf. "He gave his life to purchase freedom for everyone. This is the message God gave to the world at just the right time." (1 Timothy 2:6). God forsook Jesus for three hours, so he could forgive you and me for eternity. The second part of the verse informs us that the sinless life that Jesus led is placed on our account (Colossians 2:13-14). 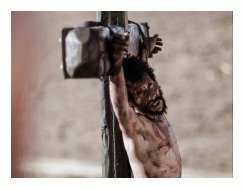 From the day of the crucifixion of Jesus Christ, through all eternity, God views each person who loves him as though the person lived the perfect life of Jesus Christ. God, through his spotless Lamb, has turned our filthy rags into white linens. As Jesus is, so will we be in our Father's eyes (1 John 3:2). Is this not the most incredible love story you've ever heard? (1 John 4:10; 4:16-17). Of the seven last words of Christ this fills us with relief. The time of Jesus' release from the struggles of a human body were drawing near. He was so very close to reuniting with his beloved Father in heaven. Physical injuries and suffering lead to severe thirst. 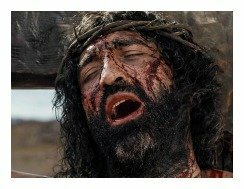 After the day's events and untold sufferings, Jesus' mouth was wracked with a painful thirst (John 19:28-29). His work on earth was accomplished. He lived without sin, and his sacrifice was accepted by God. Jesus left this earth stating that he was human with needs like us (Hebrews 2:17-18). He wanted a moment's respite, so he could voice his final words. 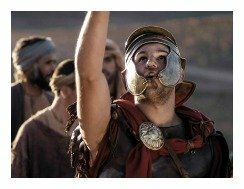 They offered him vinegar, a Roman soldier's wine, which he drank from a saturated sponge. Is there a hidden spiritual meaning represented by Christ's words, as well? He told the woman at the well that the Holy Spirit would quench a soul's thirst. Jesus was now three hours into his abandonment by God. God's Spirit left him alone for the first time in eternity. Did Jesus physically thirst for a drink; and spiritually thirst for his Father and Spirit? We are left to ponder. J.Oswald Sanders will close this section, "'I thirst,' was the sob of physical agony. He who began his ministry with gnawing hunger is closing it with raging thirst. The climax of spiritual anguish synchronizes with the zenith of physical pain." Of the seven last words of Christ this is the most exciting (John 19:30). Christ's earthly work was finished! Jesus said three years prior, "My nourishment comes from doing the will of God who sent me, and from finishing his work." (John 4:34). Jesus Christ remained blameless his entire life, qualifying him to be the Savior of the world. He completed his mission and it was a success. Jesus' earthly life was over now and he was victorious! The sins of anyone who come to God through him will now be forgiven because of Christ's sacrifice. Jesus used one Greek word, "tetelestai" in saying "It is finished!" Luke 23:46 states that Jesus cried with a loud voice. Undoubtedly, this was a shout of complete victory for God's Kingdom. The victors are all those who receive God's salvation. Jesus' act of love, that is, Jesus on the cross, was completely for their benefit. All of God's people, both before and after Jesus died, were (and will be) made right with God. "It is finished!" This is such a beautiful cry of victory for us - may our souls join in Jesus' exuberant celebration! Of the seven last words of Christ this is the most inspiring and hopeful (Luke 23:46). If hatred remains in your heart for those responsible for murdering Jesus, it should be dismissed at this point. Be thankful you weren't one of the humans that God allowed to carry out his innermost hatred. Some of those culpable for the injustice later were forgiven by God. Those who didn't repent and believe are eternally paying for their sins now. Let the hatred go... God has everything under control. Jesus' mind wasn't on his physical suffering (Matthew 10:28). He wasn't struggling, trying to hold on to life. Jesus "gave up" his spirit (Matthew 27:50). Death's power didn't come upon a passive Jesus, as it does a normal human. Jesus owns the power of death (John 10:17-18). Jesus actively released his spirit, which no devil or human could ever take from him. Jesus could have remained alive had he so wanted - the original sin curse was not upon his being. He could have preached to the masses for hundreds of years. That wasn't God's plan. God sent Jesus to the cross, and Jesus accepted the plan from eternity past. Those two, working with the Spirit's power, sovereignly controlled this entire situation from the beginning. This work was so you and I could be forgiven and gain eternal life in heaven. 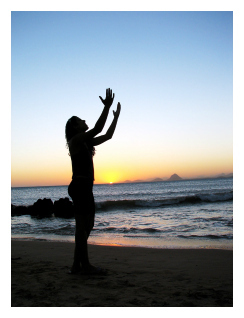 Our personal spirits are in God's hands from the moment he creates us. We have great responsibility with our spirit, with a strong sense of freedom, but God is sovereignly guiding us towards our final destiny. Upon our physical deaths, our spirits are thrust into eternal life. Christ committed his spirit back into God's hands. Those of us who physically die with Jesus' death applied to our accounts will enter paradise with God. Those who perish without Jesus' sacrifice applied will languish in outer darkness for eternity. Seven Last Words of Christ: Grasp This! The seven last words of Christ reveal a tremendous amount of information. Jesus respected God's Law all the way to his last breath. 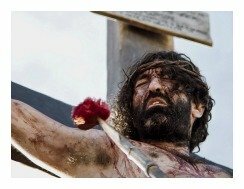 He died living what he taught, most notably loving and forgiving his enemies. His first cry teaches us to forgive our enemies and those who persecute us. Pray for them, so no root of bitterness grows in our heart (Hebrews 12:15). His second cry tells us that he is there to forgive us, even the vilest of criminals, if we would but trust in him alone, repenting of our evil deeds. His third cry teaches us to love and honor our parents, making sure they are well taken care of even to the very last. After a long silence, Jesus cried in sheer agony, "My God, my God, why have you forsaken me?" Jesus was grasping for God like no one ever has before. We should be the same way. When God seems distant, we need to be thirsting after his presence. We need to become proactive in our seeking after him. Jesus then thirsted. The sixth cry is a shout of victory for all of us who love God. Let's celebrate the defeat of eternal human death! It is finished! Praise God, it is finished. Now, in full confidence, with peace that passes all understanding, we can boldly enter eternal life knowing our valuable souls are in God's strong hands. Never will we be taken away from him. Praise God, into his hands we can each commit our forgiven spirit! Next lesson, Jesus' Body, Lesson 3.14. 1) You doctor reveals to you news of your own fatal disease. Based on Jesus' actions on the cross, how would you carry yourself through the terminal illness? 2) Do you view hell differently now after studying Jesus on the cross? Why, or why not? 3) If you're able to pray with a dying person, which of the seven last words of Christ can you share with the person? 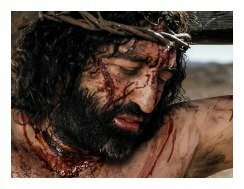 Seven Last Words of Christ: Faith Quotes! Dear Father, thank you for the cross. How fitting that you defeated sin with your Son upon a tree, since man fell into sin from the fruit of a tree. Does the amazing ironies of Scriptures ever end? Your ways are so high above ours, Lord. I am amazed at your grace. Please, please let more people see your incredible love for us. This cross. This Jesus. This love. Let people experience you. Thank you, Jesus, for giving us an example of how a real man handles death. You didn't complain, but more than that, you prayed for your executioners! Unfathomable! You taught us wisdom and obedience until your very last breath. Thank you, King Jesus. After sharing this Bible study lesson on Facebook or Twitter below download your free printable Bible study lessons, Seven Last Words of Christ, #3.13. Please Donate To GG.com! 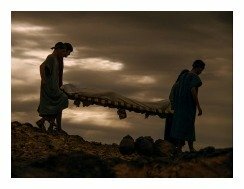 Special Note: I'm grateful to Big Book Media & Free Bible Images, Stock Exchange, Morgue Files, and Stock Photos For Free for the use of their photos for Seven Last Words of Christ Bible study lesson.